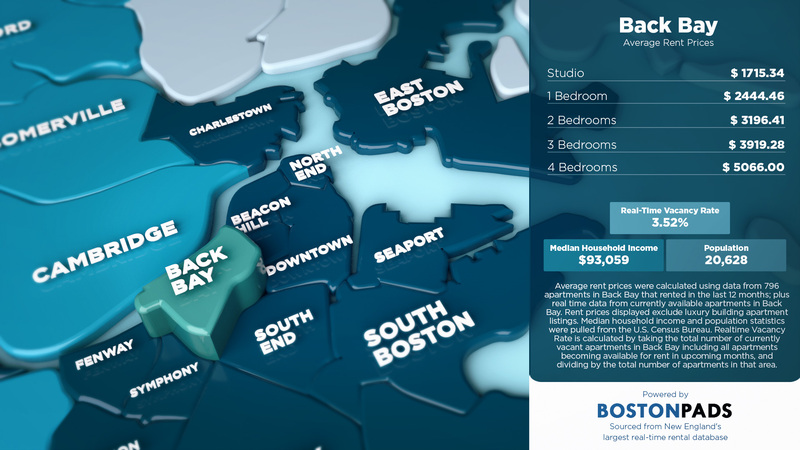 Back Bay Pads, the best local source for real-time apartment listings in Boston’s Back Bay neighborhood, has published an average rent price infographic in concert with Boston Pads, helping renters, agents and landlords alike access the most up-to-date rental data. These average prices were formulated from 796 local Back Bay apartments that have either been rented in the last 12 months or are currently available. Population and average income data was pulled from the US Census Bureau. The averages along with the vacancy rate data was pulled directly from Boston Pads’ extensive database, which contains over 156,000 Greater Boston apartments, 500,000+ apartment photos, 11,000+ apartment videos, and more than 16,000 local Boston landlord contacts. Rent prices of Back Bay apartments are among the highest in the city. Out of the 22 areas sampled, Back Bay ranked 1st for highest average rent prices for a 1 Bedroom and 2 Bedroom apartment, while ranking 3rd highest for 3 bedroom and 4 bedroom apartments trailing only Beacon Hill and Symphony. Average rent in Back Bay for a studio apartment is $1715, while 1 bedrooms are nearly $730 higher at $2444 on average. Two bedrooms are, on average, $3196 in Back Bay which is noticeably more than in nearby neighborhoods. The average price of a 2 bedroom in Fenway, Beacon Hill and the South End is $2781, $2841 and $2996, respectively. Three and four bedroom apartments in Back Bay only go higher from there, averaging at $3919 and $5066 respectively. Meanwhile, a 4 bedroom in Fenway currently averages $4625, over $400 less per month than Back Bay. Back Bay has a higher average median income with a lower vacancy rate when compared to nearby Fenway. Vacancy rate is 4.94% in Back Bay, compared to 5.7% in Fenway, while the median household income for Fenway is $40,269 compared to Back Bay’s $93,059. See detailed infographics on average rent prices in Fenway and average rent prices in Beacon Hill. All of this data and more is available via a live phone staff for both landlords and renters to contact from 10am to 6pm, seven days a week. Landlords can get a snapshot of the rental market in any specific area, including current prices of apartments in their immediate neighborhood, vacancy rates, and more. 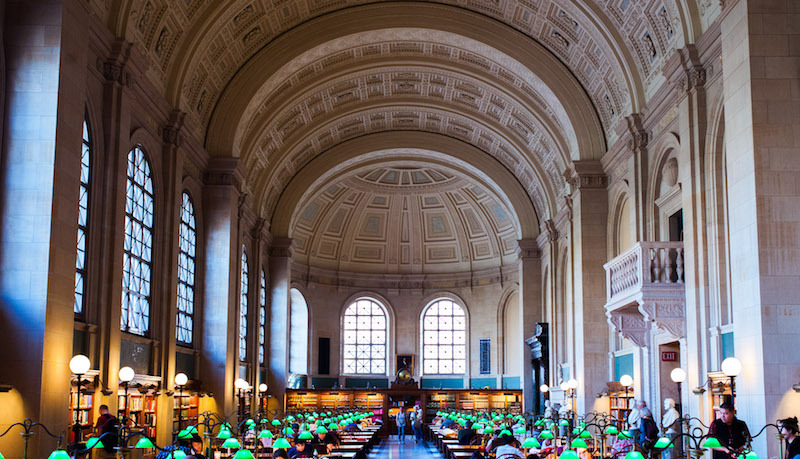 Boston Pads uses this data to help local landlords to set the best rental price for their apartments, maximizing their rental income and keeping their units filled year round. It is this local-focused and data-driven approach that has helped Boston Pads build their network of over 16,000 local Boston area landlords. Landlords who list with Boston Pads ensure themselves the best marketing coverage from one source. Boston Pads listings are syndicated to all the national platforms including Trulia, Craigslist, and Zillow, over 80 locally optimized apartment websites, and 100+ local social media pages on Facebook, Twitter and YouTube. 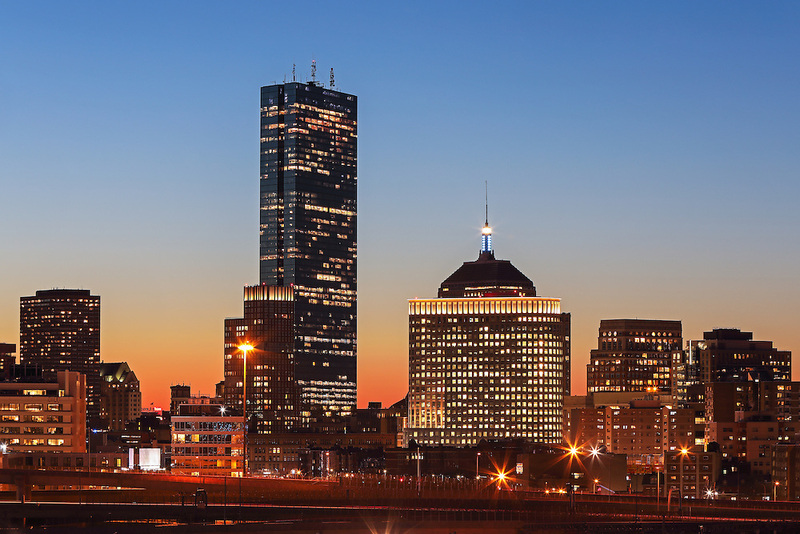 By providing comprehensive marketing coverage and the latest data, Boston Pads has positioned itself as the largest apartment leasing team in New England. Their technology is scalable and adaptable to any market, and can be utilized by any agency looking to gain access to marketing tools to help stand out above their competition. To see the average prices for more towns in the Greater Boston area, check out our latest infographic on average rent prices in Boston by town.